Design and artwork of Directory and Programme for Food Festival. Hampshire Fare. Design, Branding logo, Print, Digital, Illustration, Video, Marketing, Creative, Portsmouth, Hampshire. Eat, Drink & Enjoy the best of Hampshire. 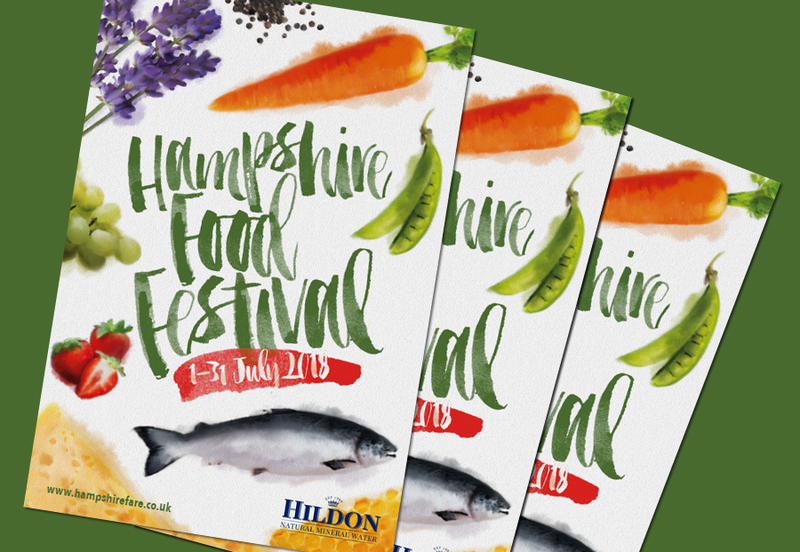 As a Corporate Partner of Hampshire Fare, Starfish is delighted produce all their marketing materials, from the producers' Directory through to event branding and the Programme of Events for the annual Food Festival. The approach to this year's perfect bound Programme was an illustrative one, with a suite of items hand drawn items used throughout the brochure and on event materials such as posters and pop-up panels.